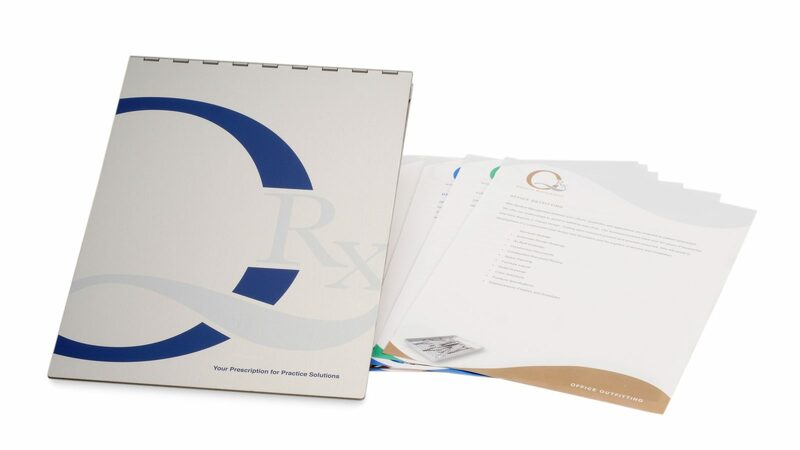 Gangway Advertising was tasked by their client, QRx Medical Management, to design a unique marketing kit that sales people could use in presentations and as a leave-behind at sales meetings. Working with the Account Manager at Gangway, we developed a solution that met the budgetary and functionality requirements, while also bringing an element of style to the table, specifically with design references to traditional medical flip charts. Anodized aluminum was chosen because it is easy to keep clean and lightweight. The client logo was imprinted using our flatbed printer using UV-cured ink for maximum longevity.